DPL: What’s the hardest part of writing [tie-in novels]? With so many ways for aspiring writers to self-publish their books, Laura Miller at Salon says the slush pile of millions of rejected manuscripts is about to go public…but will readers have the stomach for it? People who have never had the job of reading through the heaps of unsolicited manuscripts sent to anyone even remotely connected with publishing typically have no inkling of two awful facts: 1) just how much slush is out there, and 2) how really, really, really, really terrible the vast majority of it is. Civilians who kvetch about the bad writing of Dan Brown, Stephenie Meyer or any other hugely popular but critically disdained novelist can talk as much trash as they want about the supposedly low standards of traditional publishing. They haven't seen the vast majority of what didn't get published — and believe me, if you have, it's enough to make your blood run cold, thinking about that stuff being introduced into the general population. So what happens to the book business when readers, who've filled their Kindles with $1.99 slush, discover that most of it is unreadable drivel? What will the backlash be? A few days of reading bad manuscript after bad manuscript has a tendency to make you never want to pick up another manuscript again, but when finding new talent is your job and your vocation, you keep at it until you're successful enough to hire someone else to do it for you. If, on the other hand, you're a civilian, and reading is something you turn to, seeking fun or transcendence, during your precious hours of free time, how long will you persist when book after book has exactly the opposite effect, crushing your spirit instead of refreshing it? How long before you decide to just give up? Some argue that readers and bloggers will spread the word about what is good or bad, and the market will become self-correcting. The sludge will quickly be identified, as well as the few genuinely terrific books buried amidst it all. But Miller argues we are just trading one set of gatekeepers (publishers, editors, "elite" literary critics) for a new set (bloggers, pundits, self-annointed experts). Perhaps this system will work better, but I'm not so sure. Contrary to the way they're often depicted by frustrated authors, the agents and editors I've met are in fact committed to finding and nurturing books and authors they believe in as well as books that will sell. Also, bloggers or self-appointed experts on particular genres and types of writing are, in my experience, just as clubby and as likely to plug or promote their friends and associates as anybody else. Above all, this possible future doesn't eliminate gatekeepers: It just sets up new ones, equally human and no doubt equally flawed. How long before the authors neglected by the new breed of tastemaker begin to accuse them of being out-of-touch, biased dinosaurs? Honestly, I don't know what to make of Joe's success. Joe says he doesn't know why some of his e-books sell great and others don't. I don't know why DANCING IN THE DARK sales seem so sluggish even though it's been out for months. […]I'm pretty unsold on the idea of people who can't get traditionally published just e-publishing, but a number of people have done it successfully. Maybe it all depends on what you want out of it. Let's put it this way. On the basis of what I've seen so far, I'm still leaning strongly toward traditional publishing venues. People who look at Joe's success or, to a far lesser degree, mine publishing books on the Kindle and think that our sales are the norm are in for a rude surprise…particularly if they don't already have an established following or strong name recognition. Sure, there might be a handful of exceptions out there, but that's what they are, the exceptions. 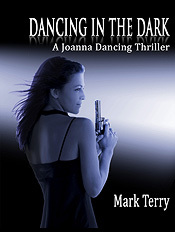 Sadly, I believe Mark's experience is closer to the norm for the majority of authors self-publishing their work for the Kindle. Though he was known and envied for writing rapidly and easily and revising very little — a reputation he encouraged — the archive demonstrates the painstaking care he took to establish the tone and atmosphere of his novels. Cartons deposited in the early 1990s offer a synoptic map of “Rabbit at Rest,” the Pulitzer Prize-winning novel that concludes the earthly transit of Harry Rabbit Angstrom, the former Pennsylvania high school basketball king who remains Updike’s most famous creation. An Eagle Typing box contains a handwritten draft, completed in January 1989. Hurried on to the page (in pencil on the back of the typescript of a previous book), the flowing sentences are constellated with crossings out, insertions and circled text as Updike honed, phrase by phrase, the middle-American idiom and the hurtling present-tense that are signatures of the Rabbit cycle. So numerous were the emendations to the opening scene, set in a Florida airport, that Updike stapled a typed page to the handwritten draft, in which the initial paragraphs are thoroughly resequenced to create an effect less linear and more interior. Further reworking the opening paragraph, to draw out its theme of impending death, Updike made subtly significant improvements. But the best part of the Times piece is this link that shows the actual drafts, from his handwritten scribbles to the typed manuscript. It’s fascinating stuff. And that’s not all. There’s also a link to a video interview with Updike filmed shortly before his death. Last year, some fans asked me to put my early, rejected books on Kindle so they could read them on their cool new device. I figured it couldn't hurt to try. And for him, I predict it will pay off handsomely. 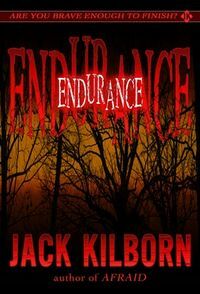 As of 10 pm tonight, ENDURANCE is ranked #42 out of all the books available in the Kindle store… and #1 in horror. I think his book is going stay at the top of the Kindle lists for some time to come. And if this book does a fraction of the business that AFRAID, his first Jack Kilborn horror novel, did as an ebook, then Joe is going to make a hell of a lot of money out of this…certainly more than he could would have made sticking with his publisher. But I want to stress that I believe that Joe's success is the exception, not the rule. Mid-list or newbie authors who yank their books from publishers over editorial notes and go the Kindle route shouldn't expect to do nearly as well as he has. He is a very special case. Prior to his ebook success, Joe was doing well in print… and heavily promoted his books by attending dozens of conferences annually, sending out thousands of newsletters, and visiting hundreds of bookstores across the country (if I am not mistaken, I believe he landed in the Guiness Book of World Records for most bookstore signings in one year). He had a considerable blog presence and significant name recognition before embarking on this Kindle course. There's no question that Joe is blazing a trail in ebooks… and doing incredibly well at it. I am one of many authors who have benefitted from both his example and his great advice…but I fear that aspiring writers will read about his success and believe it's a short cut that will lead them to a pot of gold. And it's not. He paid a lot of dues, suffered a lot of rejection, honed his skills, and established a strong, professional reputation before he got where he is. That's very important to remember before you decide to follow his path…which, contrary to what you might think, isn't necessarily paved with gold. 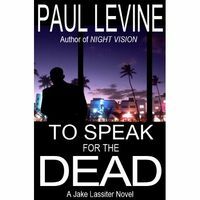 My buddy Paul Levine has brought To Speak For the Dead and Night Vision, the first two books in his acclaimed and beloved Jake Lassiter series, back in print in new Kindle editions. The rest of the books in the series will soon follow. These books are a steal at $2.99… and all the proceeds from the sale of To Speak For the Dead will go to the Four Diamonds Fund, which supports cancer treatment for kids at Penn State Hershey Children’s Hospital. So what are you waiting for? 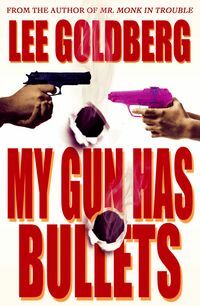 Here are the new covers for MY GUN HAS BULLETS, DEAD SPACE, and THE MAN WITH THE IRON ON BADGE, all designed by Carl Graves. GUN and SPACE share the gun/bullet hole motif because they feature the same hero and the same comedic tone. 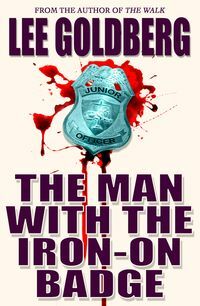 This is the most professional, and the best, MAN WITH THE IRON ON BADGE cover yet. I think I've finally got that one right. 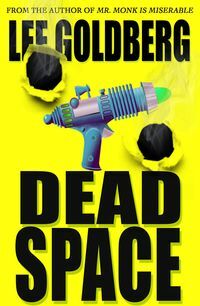 I am confident, based on past experience, that I will see my sales go up as a result of the cleaner, simpler, more professional covers and the "branded" look that's consistent with the previous covers that Carl designed for me.